Dr. Jeffrey L. Ram has diverse research interests relating to biodiversity, reproductive biology, neuroscience, invasive species, and human and environmental microbiomes. He studies diverse aquatic organisms both as model systems for reproductive- and neuro- biology and as a way to understand changes taking place in Great Lakes habitats and ecology. These organisms include animals that can affect human health, such as midges and mosquitoes, predatory microinvertebrates that prey upon them, and aquatic invaders of the Great Lakes, like the zebra mussel. 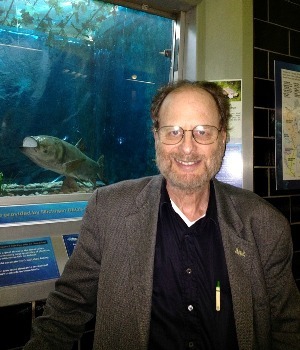 His invertebrate research has been recognized internationally by several international research grants, and he is the president of the International Society for Invertebrate Reproduction and Development. This research is connected technically and conceptually to other projects on the oral microbiome and engineering ballast systems of ships. In addition, Dr. Ram is the head of a $1.2 million grant from the National Science Foundation to promote science and science careers among students in the Detroit public schools. I am accepting new MS students for the 2019-2020 academic year. 1973-77 NIH Post doctoral fellow in neurobiology and endocrinology, University of California, Santa Cruz.